39% of customers say they try a business for the first time because of direct mail advertising. Connecting with consumers who are tied to digital devices through tangible, textural, printed matter is a time-tested and proven method to building your brand. 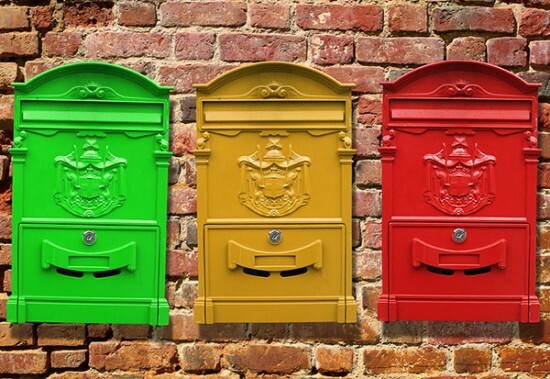 Direct mail marketing is still a solid performer when it comes to building your brand. While many businesses abandoned it for email marketing before realizing they need a balance of both, there is an opportunity for every business to market effectively through the mail. We offer a streamlined design/print/mail solution to your company’s direct mail marketing efforts. We maximize ROI of your campaigns, increase response rates and optimize your database with the most effective, personalized direct mail services in the Chicagoland area. From stunning direct mail design, intelligent audience targeting with expert database acquisition, or creating dynamic web content to support your campaign, we can help. 44% of customers visit a company’s website after receiving a direct mail marketing piece from them. That click can be worth the postage. Driving traffic to your website with QR codes, promotional product incentives and personalize urls are proven methods to increase engagement and conversion rates. We work with audience targeting experts, a wide network of experienced printers and fulfillment facilities. The one-source solution to your company’s direct mail needs is a click away. What is Every Door Direct Mail™? The best way to target a local area is with USPS’s Every Door Direct Mail™ program. With ultra-low postage rates and the ability to specify exactly which mailing routes you want to market to, EDDM mailing is an easy and affordable way to increase awareness about your business or big event. Need help finding your target audience? We specialize in optimized mailing lists and targeted marketing. Need a dazzling direct mail piece design? Our award-winning graphic design team can help. Need help printing your postcard or mail piece? We offer first-class, high-quality printed products. Looking to increase response rates up to 75%? A creative promotional product incentive is the best way to start. Another way to increase the ROI of your next direct mail campaign is with gaming. dream ink offers a full line of Lucky Number Sweepstakes promotions and Hole-in-One tournament materials. Utilize Scratch n’ Win campaigns to maximize recipient response with an emotional response to winning. We specialize in targeted contact list procurement with a full-service mailing and fulfillment department ready to answer any questions you have regarding postage costs or size requirements for your targeted marketing campaign. Contact us today for a free direct mail services consultation.